Transblue is the leader of world class construction. Transblue designs and builds stunning landscape masterpieces that enhance your outdoor living space and increase your quality of life. These designs are not just projects – they are birthday parties, anniversaries, celebrations, and quality time with your family and friends. This Street of Dreams project was performed in Seattle. This yard went through the drastic changes and was completely transformed. 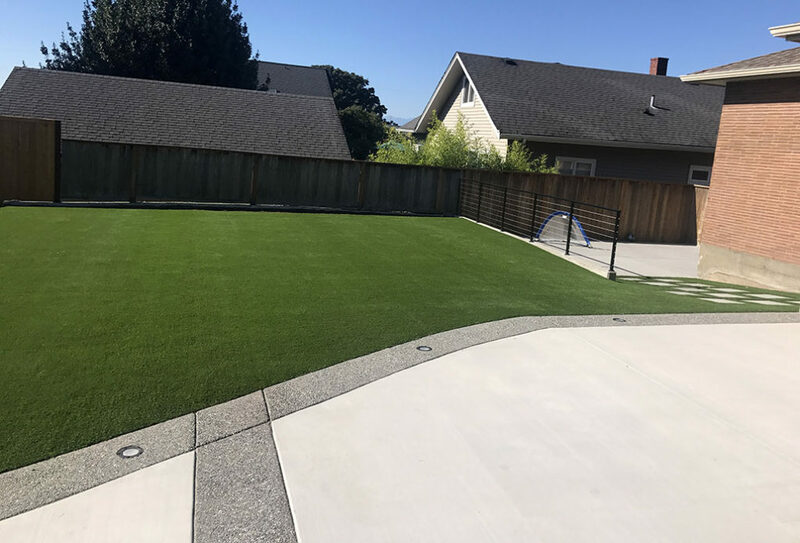 Uninviting old asphalt yard became a bright and lively artificial grass, full of opportunities for fun and enjoyment. Transblue removed an old asphalt, which was covering all front-yard of the house and the side of it. 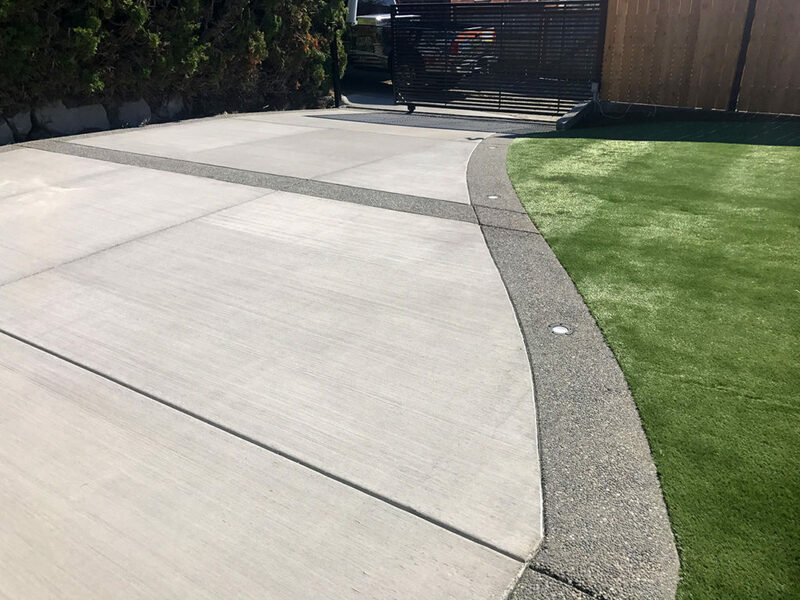 After that Transblue installed environmentally, pet and child friendly synthetic turf on the place of the old asphalt and poured new concrete driveway, with lightning installed. In addition to that the pavers were installed for the slope walk-way on the side of the house. 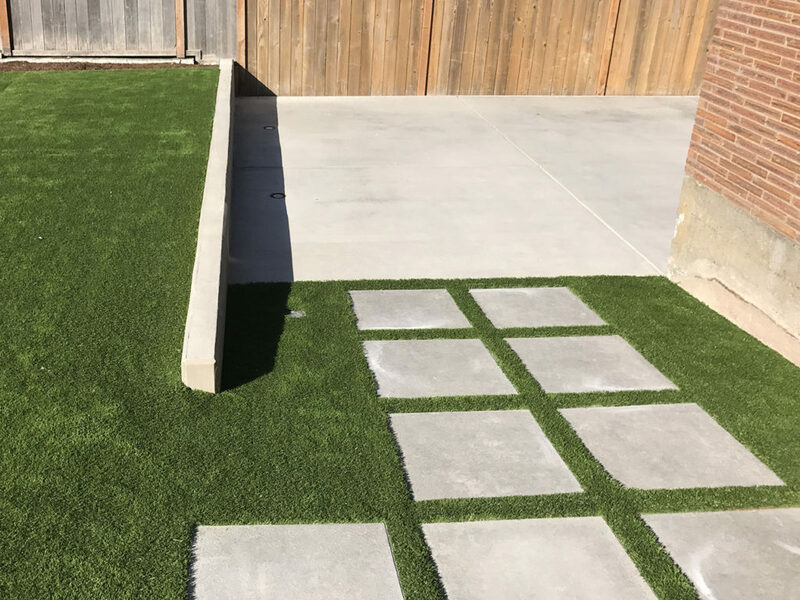 We used large 2ft by 2ft pavers that enhance the feel of the property and create an incredibly relaxing backyard space. Now this back yard is perfect for relaxing with friends and family or entertaining guests for special events!